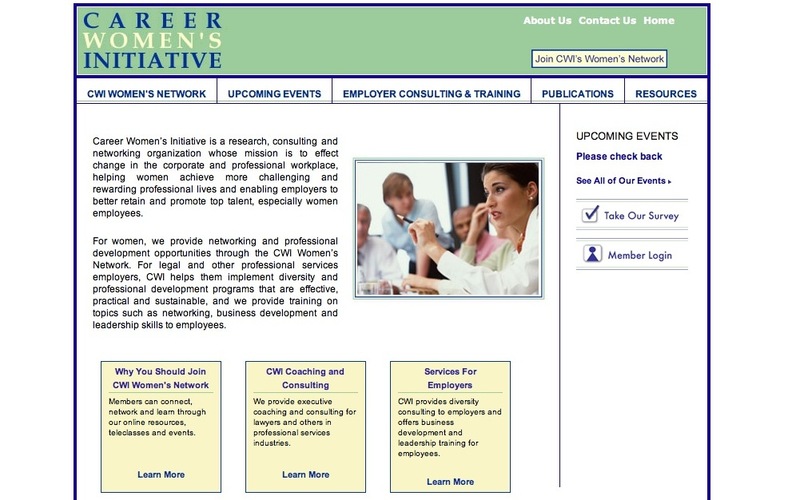 Career Women’s Initiative LLC is a research, consulting and networking organization that serves women and employers, helping women achieve more challenging and rewarding professional lives and enabling employers to better retain and promote top talent, especially women employees. The client needed to finish a design that had been started. When designing the structure, we had to be mindful of the technical limitations of the company hosting the website. The client was using Member Clicks, a content management system designed to manage memberships and events. We also worked with the client as a liaison between her and the technical team at Member Clicks, in order to ensure that her needs were understood by them.